Cats de "Caritates": Ada is already a mother! Ada is already a mother! 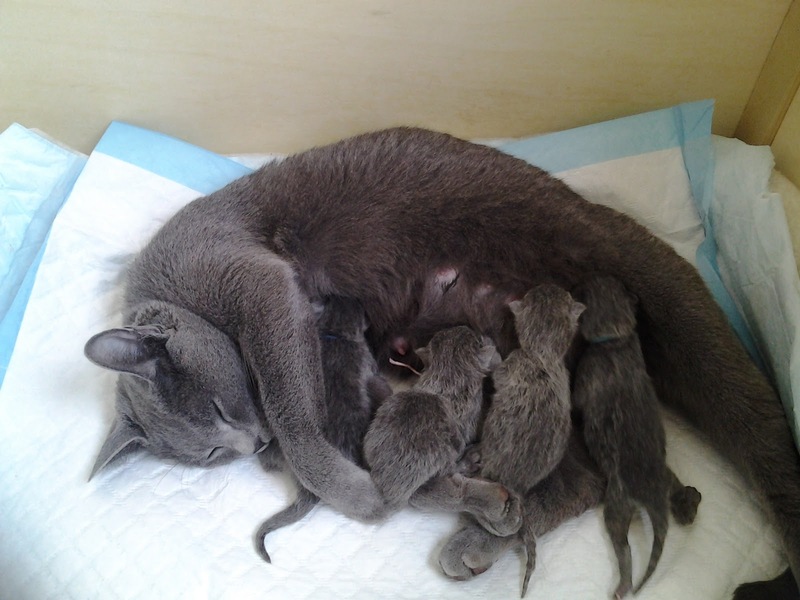 On the 21-st of April Adusja delivered four wonderful babies - one girl and three boys. It is her first litter. All babies are very active and gain weight rapidly. Ada shows herself as very devoted and loving mother. She doesn't leave her children even for a moment and prefer to eat and drink inside of the litter-box.